When a close family member passes away due to the fault of someone else, you may be able to earn monetary compensation for your costs and reliance on the decedent. Understandably, no amount of money will ever be able to make up for the loss of your loved one, but money can still help you along the way to your recovery. You may be faced with medical bills, funeral costs, and loss of income following such a death, but with the help of legal professionals, you’ll be able to get through this difficult time. 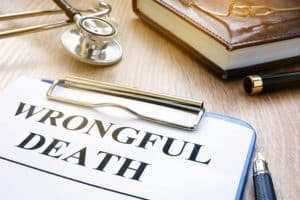 A wrongful death claim is a civil lawsuit to be economically reimbursed for expenses following the death of a close family member. This type of lawsuit can arise following a death caused by medical malpractice, vehicle accidents, slip and fall accidents on the premises of another, or any other reason a death was caused by another person. Even if the person that at-fault was criminally charged for his or her wrongdoing, you can still file this civil suit for your loss. In New York, the personal representative of the decedent can file suit. Presuming a successful outcome, the personal representative will then be able to distribute the money earned through the claim to the people who have suffered a pecuniary loss by that death. People who receive this money are typically the children, spouse, and/or parents of the decedent. If you have suffered a pecuniary loss due to the death of a close family member, you could recover financially for the reliance the decedent gave to you, the value of the support and services rendered, loss of nurture and guidance, pain and suffering, loss of inheritance, and potentially punitive damages under aggravating circumstances. Additionally, you may be able to receive medical, funeral, and burial expenses arising from the decedent’s death. Statutes of limitations in each state determine how long you have to file suit. You will not be able to file suit once the statute of limitations has run on your claim, so it is vital for you to know how long you have and make sure you file within the time limit. 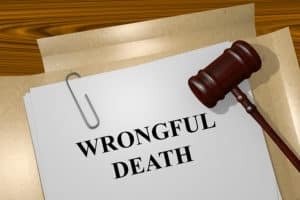 In New York, you have two years from the date of the death to file a wrongful death claim. There are certainly exceptions, such as when there was also a criminal proceeding against the defendant or if a minor is involved, but nevertheless, you should always contact an attorney as soon as possible to ensure that your claim is timely filed.